Paul Templeton is an African-American of mixed ancestry who breaks the DNA code and cures AIDS. One of his ancestors was Sequoyah, the Cherokee who developed a written alphabet for his people. There is a link between developing an alphabet and breaking the DNA code. Paul discovers the cure for AIDS when he makes a slight modification to human DNA. A call to the Food and Drug Administration puts him in touch with Hubert Langford, the man in charge of testing and approving new drugs and therapies. If Paul submits his discovery for testing, Hubert will stand in his way and probably steal it, because he is a sworn enemy of the Templeton family. Hubert Langford hires a former KGB agent and a retired Baltimore police detective to spy on Paul. They try desperately to find out how he modified human DNA. 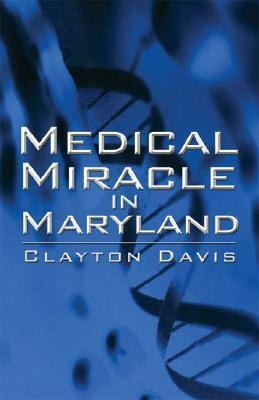 The reader learns the answer to the mystery through the ears and eyes of those two spies.Davis, Clayton is the author of 'Medical Miracle in Maryland', published 2005 under ISBN 9781413725247 and ISBN 1413725244. Loading marketplace prices 1 copies from $57.30 How does the rental process work?